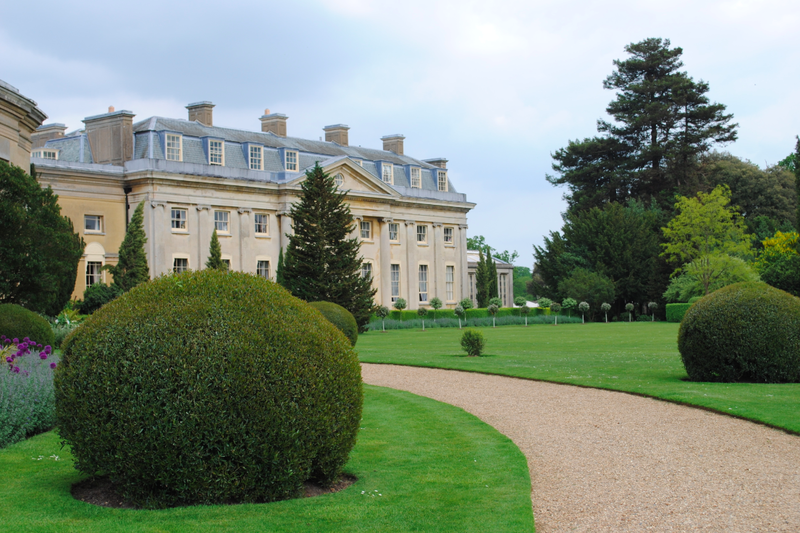 Ickworth House is located within extensive tranquil parkland near Bury St Edmunds in Suffolk. The House was started in 1795 by the Irish architect Francis Sandys to the designs of the Italian architect Mario Asprucci. Completed in 1821, the House was built for the 4th Earl of Bristol to replace an earlier house which was demolished in 1710. 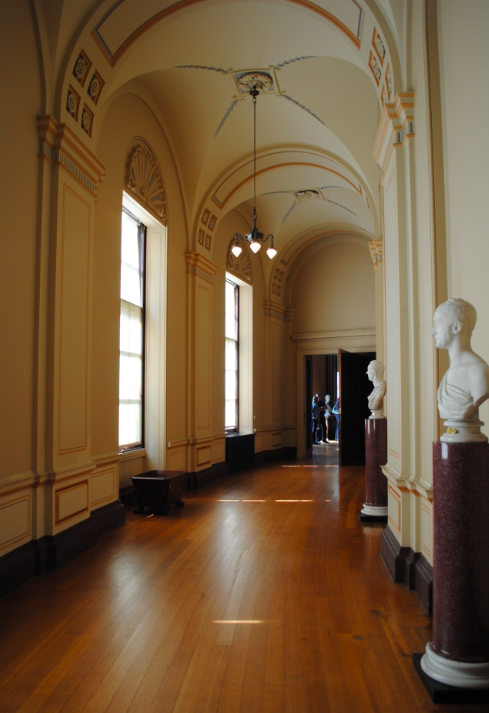 Constructed of stuccoed brick, the building was designed to house the treasures collected on tours of Europe. 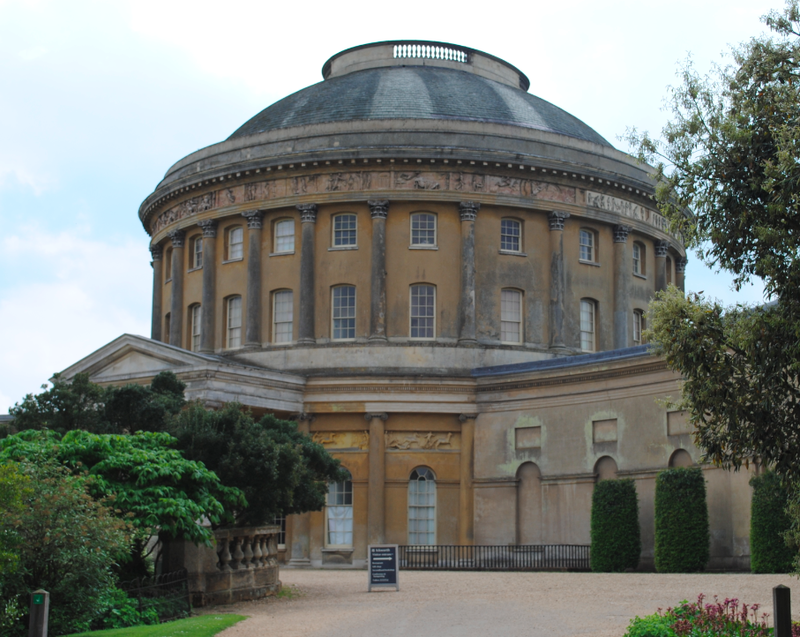 The House features a central rotunda with curved corridors (as above) to the south east and south west of the building. 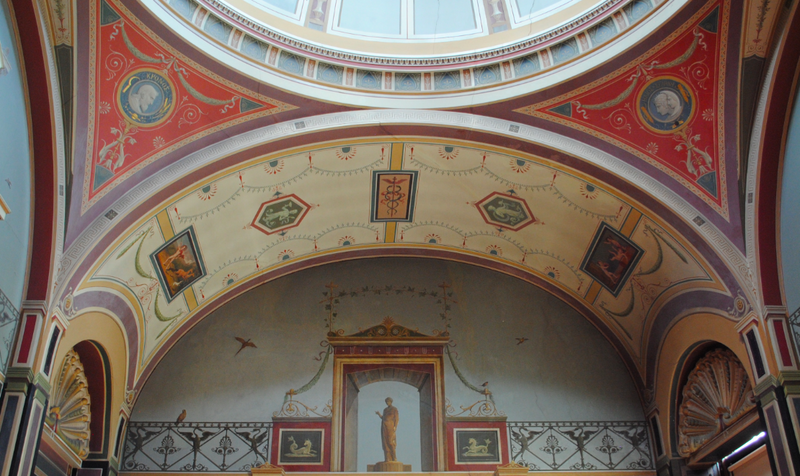 The Pompeian Room (above) features exquisite wall paintings and decoration. 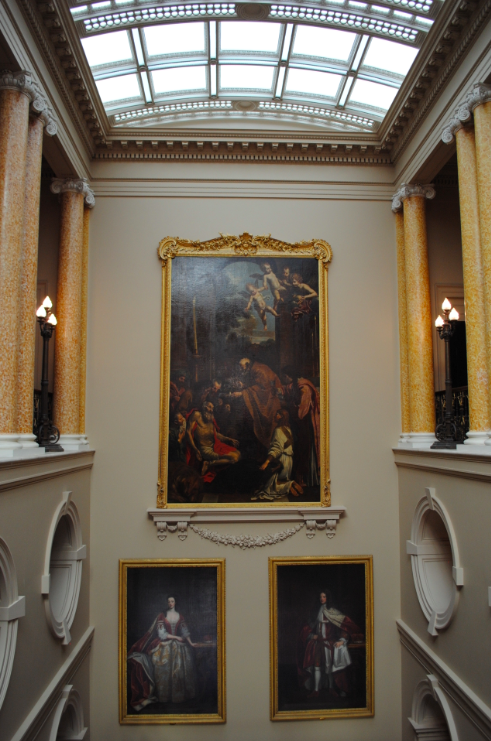 The staircase is flanked by paired scagliola Ionic columns and numerous family portraits adorning the walls. 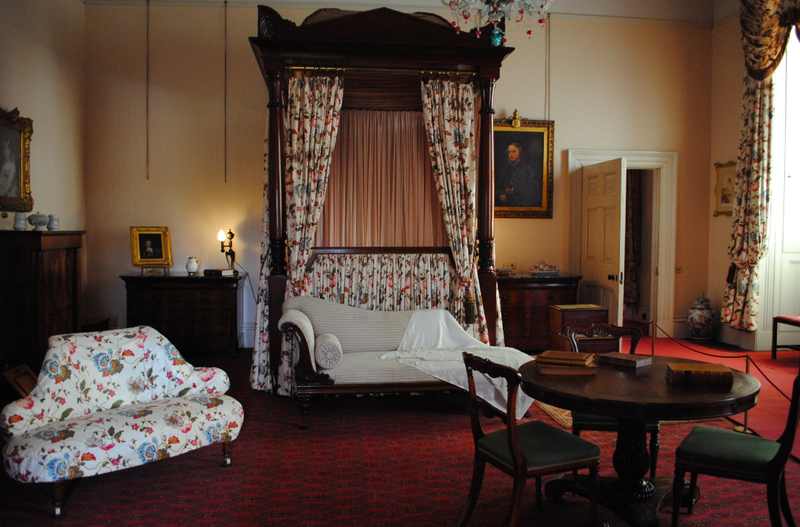 The main state rooms were used only for occasional entertaining and remain in superb condition. 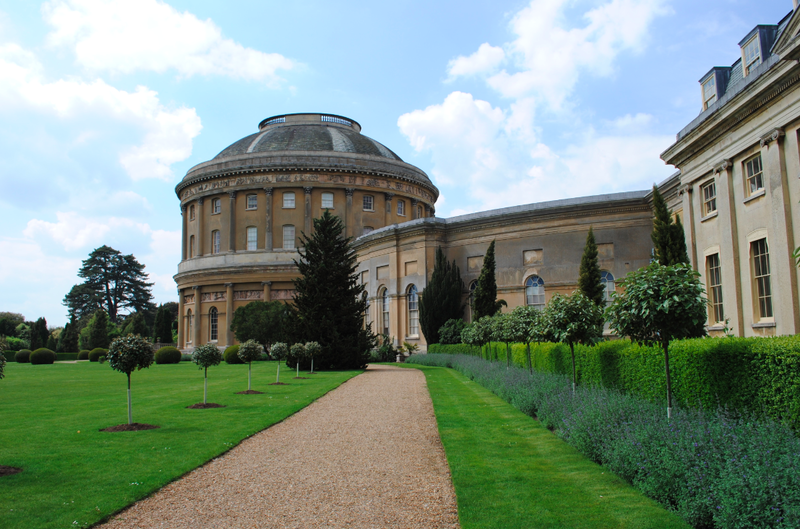 Ickworth House is Grade I Listed. 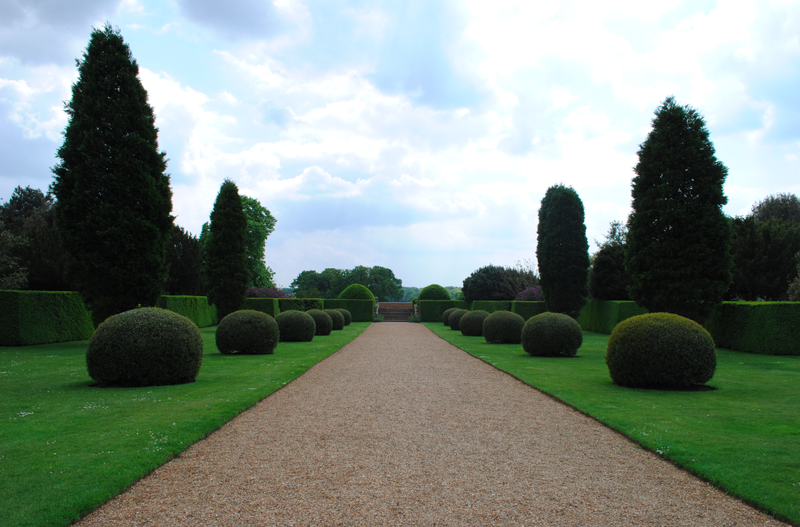 The grounds of Ickworth have the country’s earliest remaining Italianate Garden which was installed at the beginning of the 19th century by the first Marquis. The layout echoes the floor plan of the House complete with corridors and rooms. 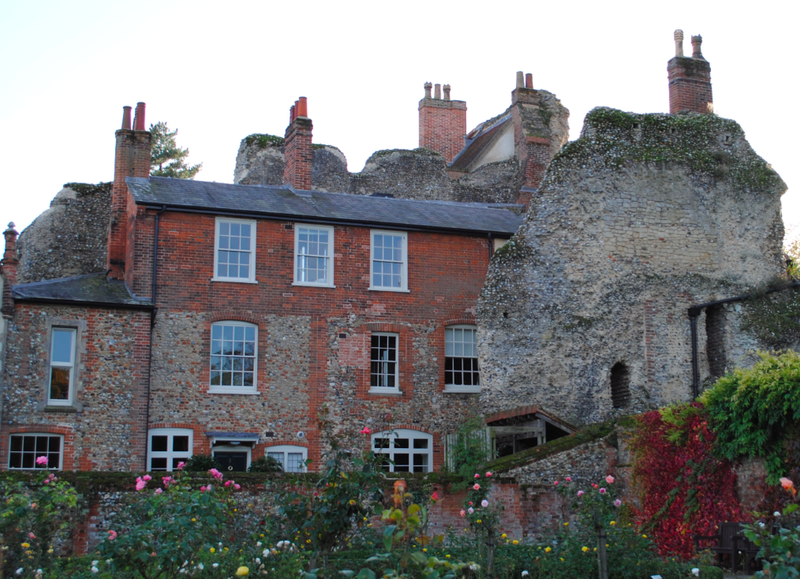 The garden rooms include the Stumpery, a Spring Garden, Magnolia Garden and the Mediterranean Temple Garden. 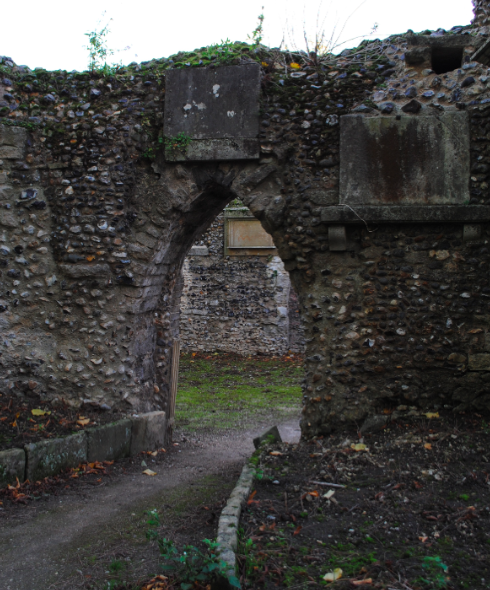 The medieval ruins of the Abbey of St Edmund date to the 11th and 12th centuries. 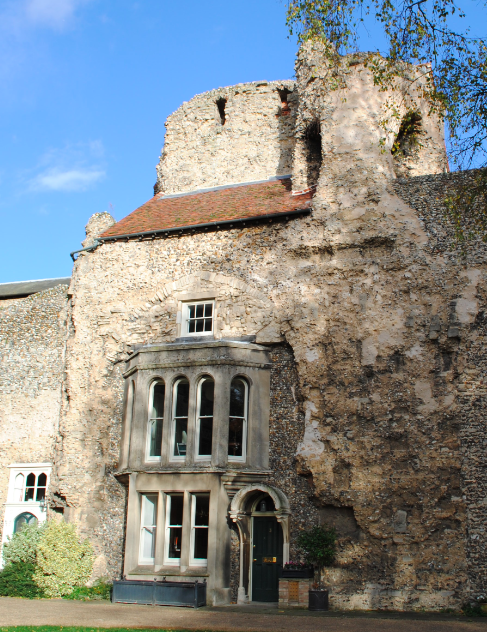 Constructed of flint rubble, the houses inserted into the west front during the 18th century lay derelict requiring a major intervention to make them habitable once again. 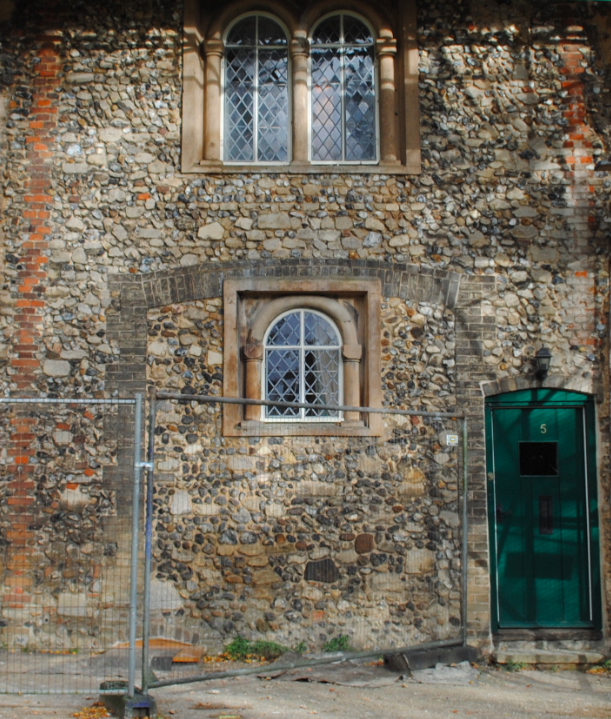 Designated as a Building at Risk, English Heritage and St Edmundsbury Borough Council deliberated to sensitively achieve the conservation and conversion of the structure into five new high-quality dwellings. Retaining as much of the fabric as possible, the building is once again fully inhabited. 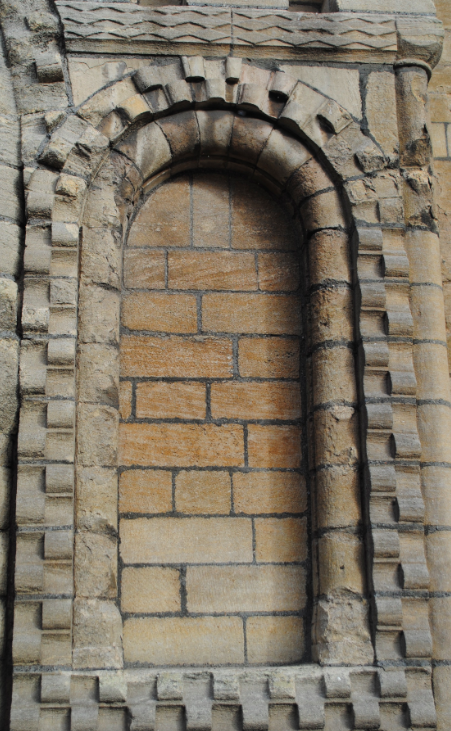 In a niche along the facade of the former Boots shop on Cornhill stands the sculpted figure of King Edward I. The figure is the design of the 19th/20th century English Architect, Michael Vyne Treleavan. Treleavan designed many shops for Sir Jesse Boot (Boots the Chemist) and was the architect in charge of Boots Building and Shop fitting Department from 1900. The architectural sculpture dates to 1910. In a niche on the facade of the former Boots shop on Cornhill stands the statue of King Edward VI. The sculpted figure, which dates to 1910, is the design of the English architect Michael Vyne Treleavan who was in charge of Boots Building and Shop fitting Department from 1900. 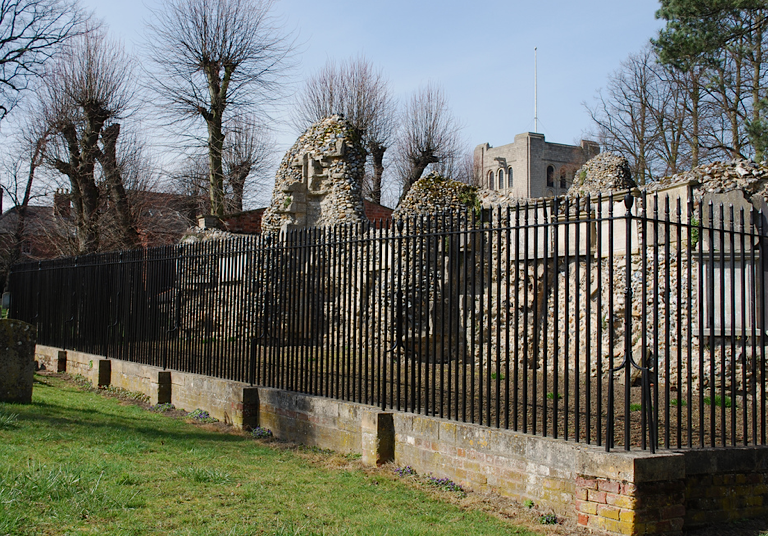 Located off Crown Street is the Norman Tower of the former Abbey of St Edmund. 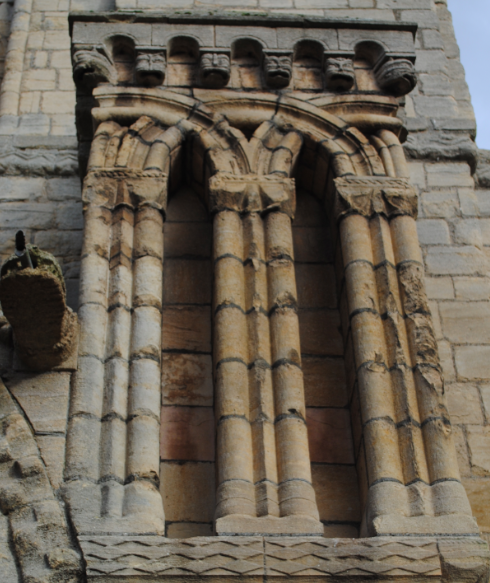 Built between 1120 and 1148 under Abbot Anselm, the Tower is constructed of Barnack stone and consists of four stages. 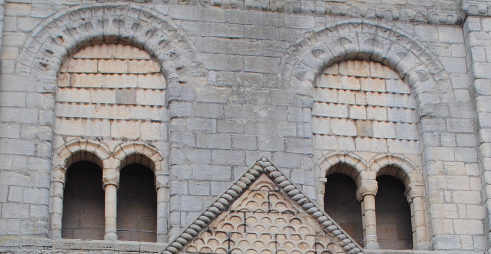 The Romanesque tower features tall blank arches with colonnettes dividing the window openings. 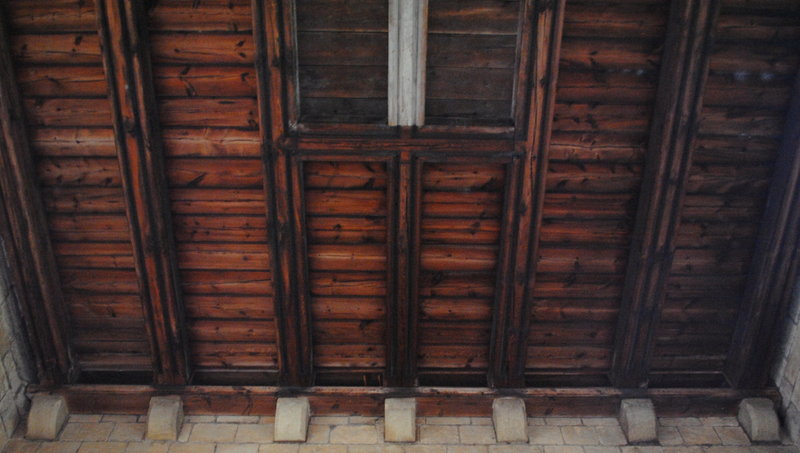 The tower was restored by the British architect Lewis Nockalls Cottingham between 1846-1847. The Norman Tower is Grade I Listed and a Scheduled Ancient Monument. 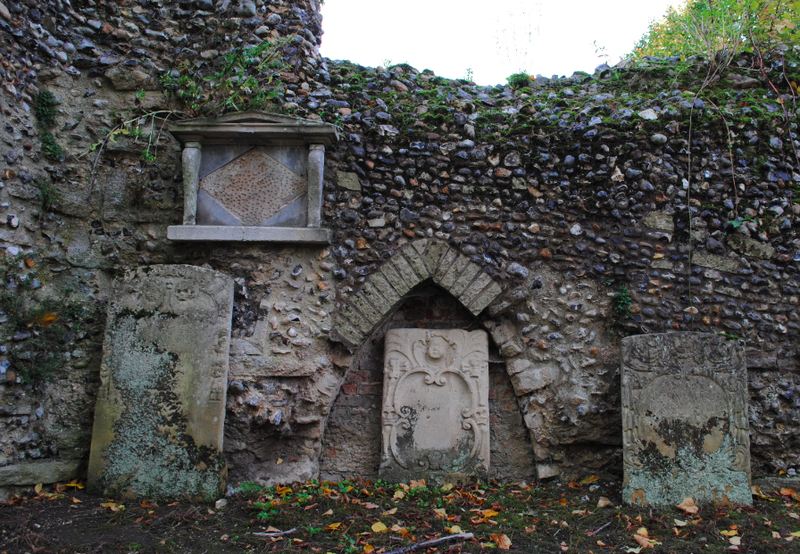 Located within the grounds of the Abbey is the ruins of the Charnel Chapel by the elected 16th Abbot, John of Northwold. 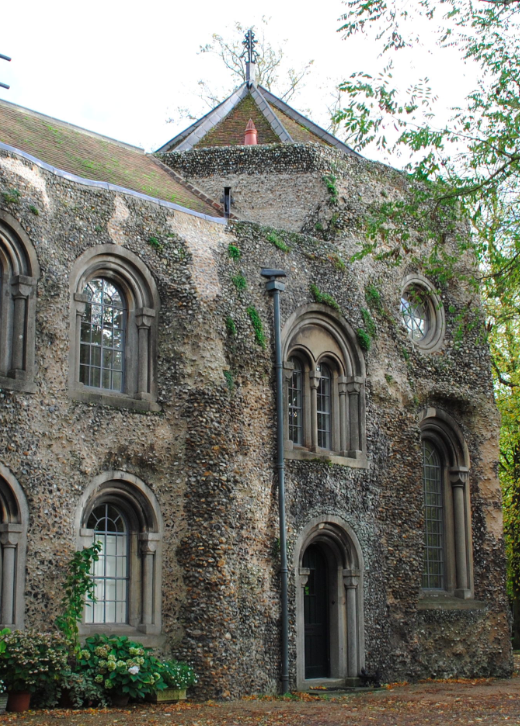 Dating to the late 13th century, the Chapel is constructed of rubble flint and stone dressings and features numerous memorial tablets. 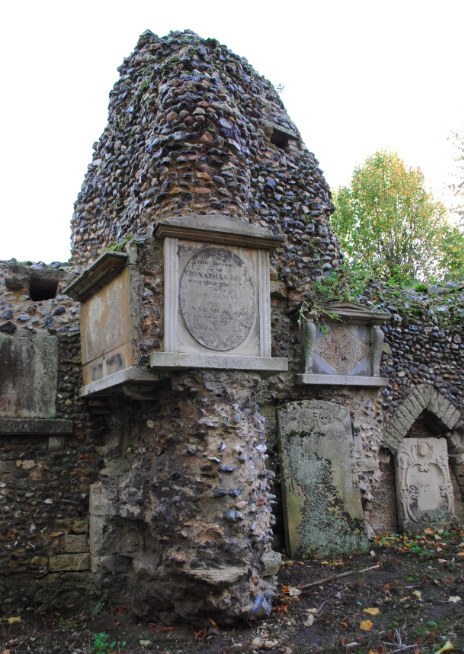 The Chapel was built to store the bones originally buried in the Great Churchyard. Suffolk County Council occupied the building from 1974 until it moved to the Public Service Village. 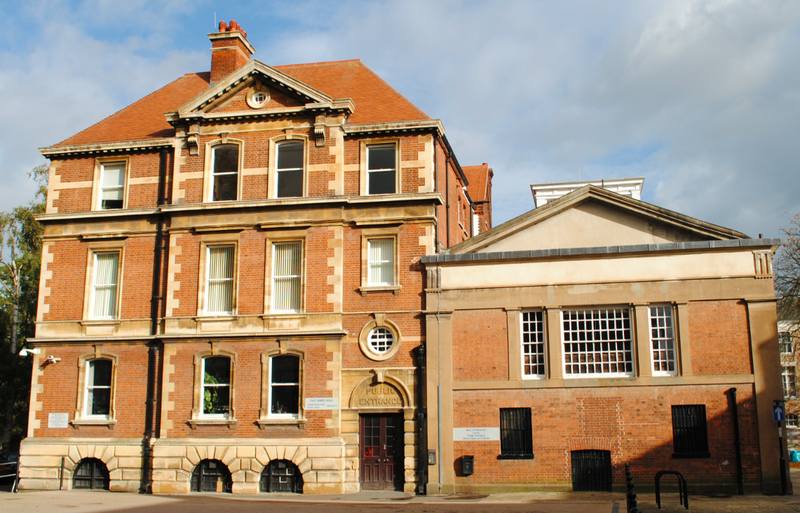 The building is now the Magistrates Court.